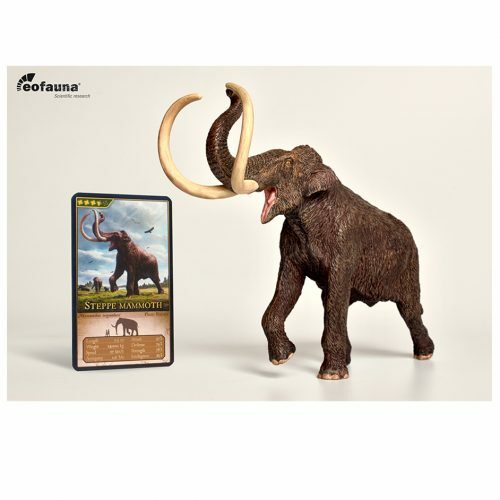 A fantastic Giganotosaurus dinosaur part of the Eofauna Scientific Research models series. A superb, museum quality replica of the huge South American carnivore Giganotosaurus. Collect all the Eofauna dinosaurs. A wonderful 1:35 scale model of Giganotosaurus carolinii. This is one of the most spectacular dinosaur figures I’ve ever seen. The detail is exquisite and subtle, can’t wait to see what else they have coming. This figure is one of my favorites in my collection. Eofauna has raised the bar…. A really good quality dinosaur model.Always wanted a giganotosaurus model and this one does credit.Detail is good. Standing next to my palaeoloxodon you get the true size and mass of this killer.Interesting to see what eofauna would make next.Delievery from everything dinosaur was first class as usual i had it before the weekend. Bit late with a review, but I think it’s gorgeous! Fantastic details, the muscles, the texture of the skin, everything. I especially like the colouration, these brown hues suit it well. The inside of the mouth could have done with more detail, but nevertheless, it is still a great figure of 2019. I love the figure, very good quality and displays very good on the shelf next to Schleich specially. The only downside that I see is that it doesnt display good next to Papo or similar quality figures, and the paint can be easily scrached from it, but in general I really recommend it. This figure is amazing. The detail and coloration is flawless. I highly recommend. I live in the States, and my order arrived in 8 days. Everything Dinosaur is amazing, and will get all my business from now on. Has just upped the stakes in Paleo-figures with their third release. Regarding size just spot on expressing the theropods mass in real life at 8 tons which made it the apex predator of the massive Titanosuars of ancient Argentina. The Giganotosaur’s Beautifully robust head is masterfully captured with clean lines, smoothly closing jaws an all round superb job. When you look at the eyes from profile it is as tho has seen movement and has peaked the instinct to begin the hunt. Colour wise nicely subtle with the stripes and the stripes break up the animal body in the undergrowth. The toes are well captured with the toepads giveing stability and the stance of strong legs reaching up to the wrinkled skin of the inside of the thighs nice touch the wrinkles which occur in some of the larger domestic gamefowl breeds naturally. This may well be 2019 finest Dinosaur figure. Now we look forward with peeked intrest to see what figures 4-5 will be in the coming months. Go see for yourself as you need to see it in hand as all the photos in the world don’t do it justice. Regarding size just spot on expressing the theropods mass in real life at 8 tons which made the apex predator of the massive Titanosuars of ancient Argentina.